Ras Al Khaimah Tourism Development Authority (RAKTDA), has announced that the world’s longest and highest zip line will officially open at the UAE’s highest peak, Jebel Jais, in the first week of December. RAKTDA has partnered with zip line operator Toro Verde to develop the multi-million dollar zip line. While the exact length of the zip line has not been disclosed so far, it will be longer than 28 soccer fields in length. The currently unnamed zip line also is due to break the current Guinness world record zip line of 2,200 metres held by ‘The Monster’ in Puerto Rico, according to RAKTDA. The welcome centre at the attraction will feature a lounge, restaurant, lockers, equipment storage and offices. Participants will be given a pre-briefing and then escorted to the launch platform and fitted with a special suit and equipment for the zip line. The zip line experience will consist of two lines, allowing people to take part in the flight together. The attraction will be open to all ages, with a minimum weight of 35kg and maximum weight of 150kg, and a minimum height of 120cm. 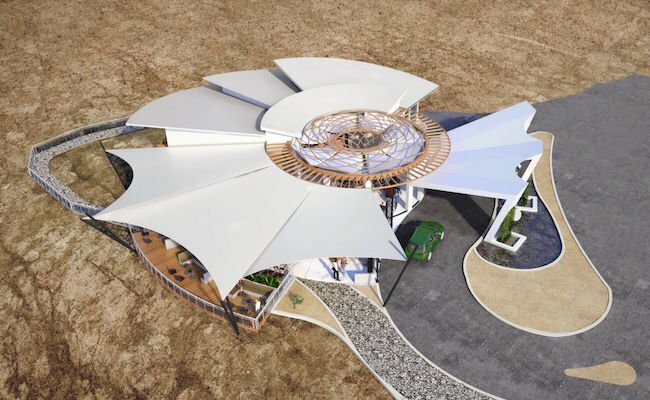 RAKTDA is also developing a dedicated VIP lounge and welcome centre for high-end clientele, which will provide private parking, the option to fast track their zip line flight, and a helicopter transfer – flying guests from Ras Al Khaimah’s coast line. “This zip line will be like no other experience out there,” said Haitham Mattar, CEO of RAKTDA. “Once harnessed to the zip line in a horizontal superhero position, participants will soar through the sky as if they’re a bird. It’s the closest you can get to the experience of flying. The flight will take them to a suspended landing platform where they will be transferred to a second line to complete their journey back to the ground,” Mattar explained. In its first phase of operations, the zip line will be able to accommodate 250 people a day – meaning about 100,000 in a year. “Nothing like this exists in the world – let alone this region – it is a true first for Ras Al Khaimah,” added Mattar. In terms of construction of the zip line and its supporting structures and facilities, RAKTDA said local expertise and materials have been sourced where possible. The site has also used environmentally friendly resources in specific areas, such as LED lighting and photovoltaic fabric materials, to allow for the generation of clean energy for operations. 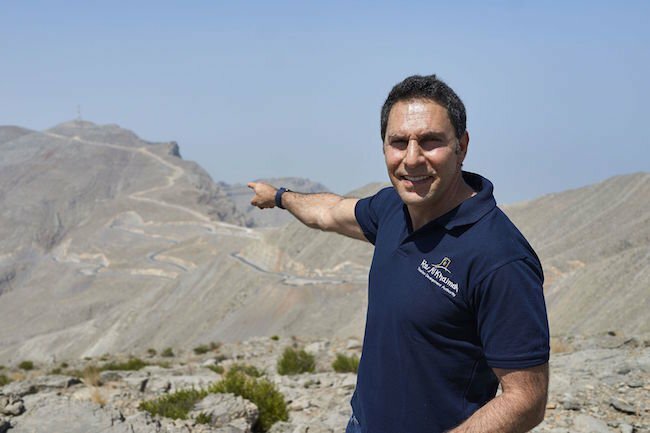 “We want visitors to enjoy the pleasure of experiencing the stunning mountains and nature without impacting the environment,” said Jorge Jorge, CEO of Toro Verde Ras Al Khaimah. “Jebel Jais’ dramatic and beautiful landscape offers an iconic backdrop for what will be a bucket list experience for people all around the world. “The mountains also provide a strong and very challenging base for construction and we are already making good progress,” he added. Ras Al Khaimah is aggressively seeking to expand its adventure tourism offerings as it looks to lure more visitors. Last year, the emirate launched the Jebel Jais Via Ferrata (Iron Path) adventure challenge in the Hajar Mountains. Since opening in December, the climbing, trekking and zip line paths, which are up to 400m above sea level, have been used by 1,500 enthusiasts (as of June). “The new zip line represents Ras Al Khaimah’s most significant tourism product opening since Al Marjan Island, our coral-shaped leisure tourism archipelago,” said Mattar.